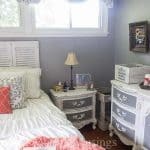 Don’t know how to sew but still want a beautiful, inexpensive bedroom? 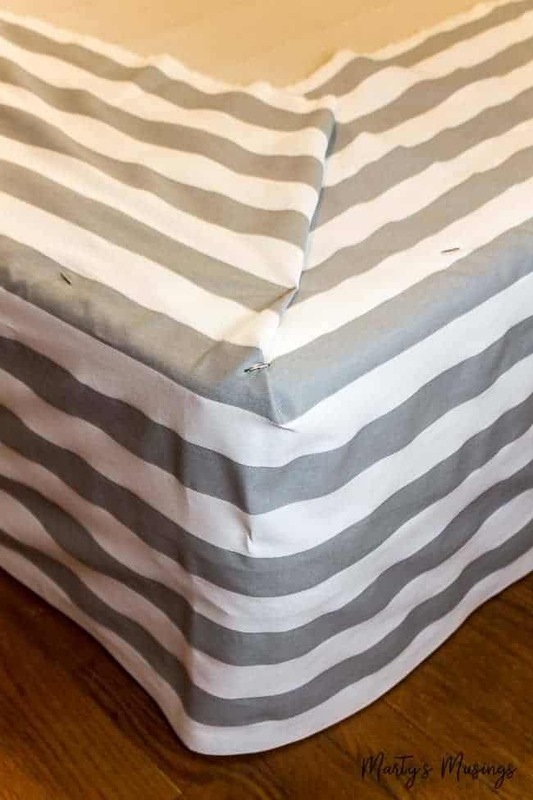 Learn how to pull it all together with this easy no sew DIY bed skirt tutorial. 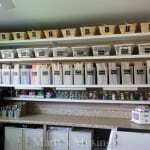 Do you ever begin a project in your home with great enthusiasm and tons of fresh ideas and inspiration? You’re chomping at the bit to finally make headway on that space that’s been irritating you for months. It haunts you as you pass by it day after day. The clutter, the wasted room, the just plain ugliness of it all. One morning you wake up and you can feel it. TODAY IS THE DAY. You WILL tackle that project. You WILL check it off your to do list! Believe it or not, I’m kinda like that with my blog. I’m beginning to learn after 23 years of being a homeschool mom, living through a crazy unpredictable life, that developing the discipline to stay focused, start AND finish my work is a challenge. I get a wee bit distracted. 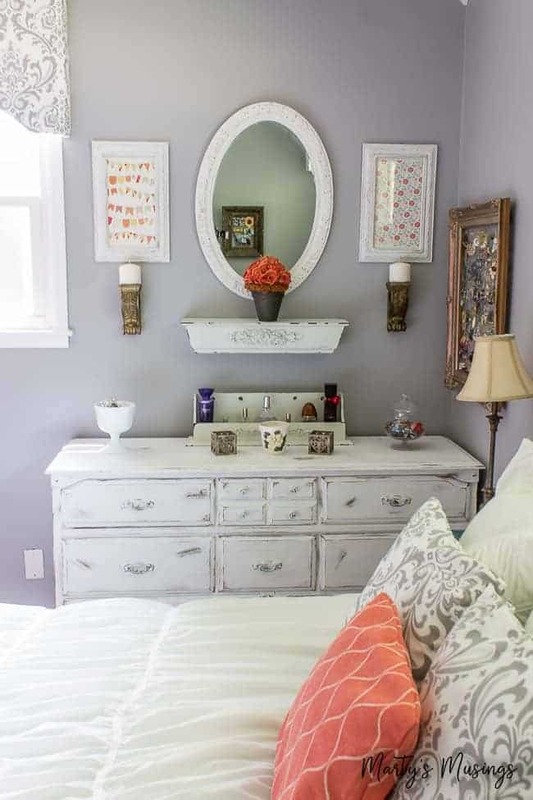 I paint one piece of furniture which leads to changing up another corner of a room. I walk through my home where unfinished projects bleed from one room to the next. Surely they must multiply during the night as I dream of perfectly styled accessories on tables next to sofas where the pillows actually remain placed. When I was a young mom I always wondered why ~ahem~ older women seemed so busy after their children were grown. Now here’s the kicker: I’m in a new season of life. I totally get it. And I’m sorry for all the judgment. 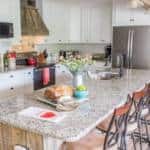 Today I work from home, spend time with my husband and adult kids, keep my grandson one day a week, lead a women’s Bible study small group, cultivate meaningful relationships with friends and the list goes on. 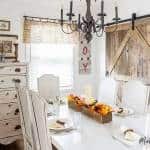 My life, home and blog are entertwined, a constant process of fixer upper projects and learning curves. 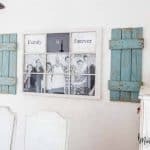 Begin a DIY project, take pictures of all the steps, write about it, edit pics, publish the post, promote on social media and on and on it goes. OR spend hours working on the technical aspects of the website and forget I even have a home! It can be a beautiful thing or a noose around my neck. I think you probably understand the feeling, no matter what stage of life you’re in. Too many ideas and too little time. 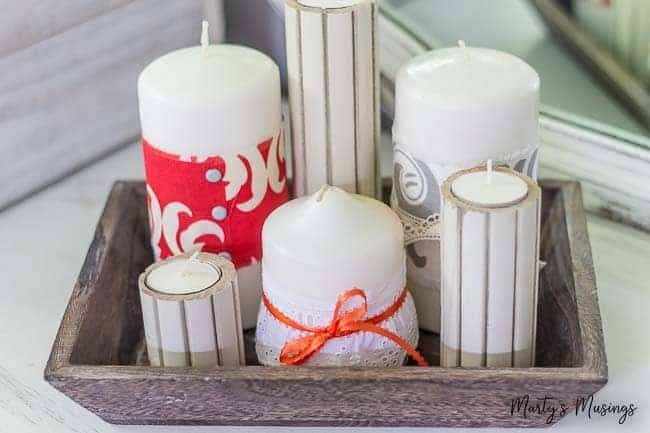 In honor of true confessions today I wanted to share an OLD OLD DIY that never made it onto the blog. What can I say? 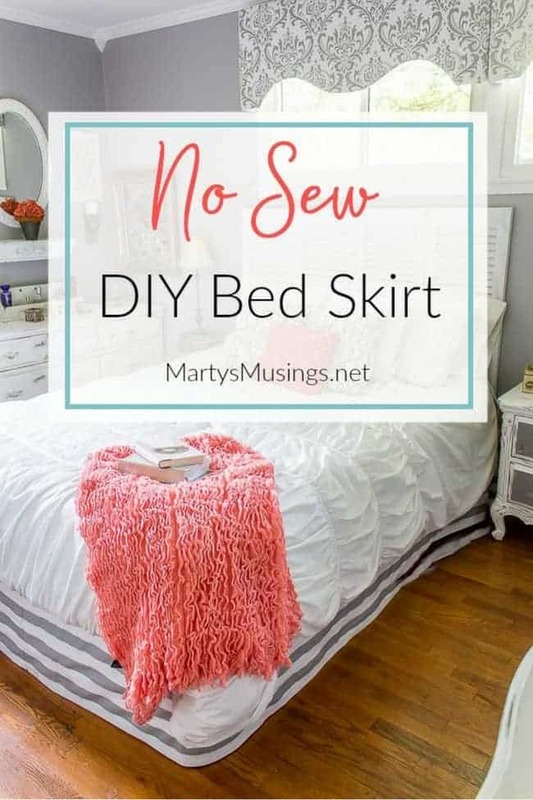 I got a little distracted 3 1/2 years ago when we completed our gray and coral master bedroom makeover and I never shared the tutorial for my no sew DIY bed skirt. Done laughing? You’re welcome. Anything I can do to lighten the load. And yes, country was in style. I do still love me some color but thankfully I’m learning to use it in smaller doses! 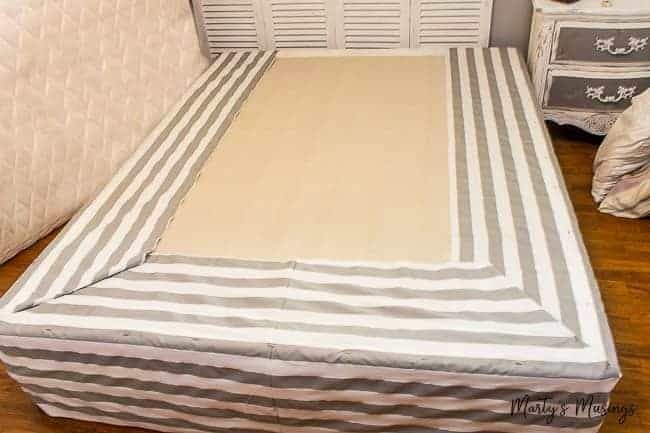 I love this bed skirt because it’s inexpensive, doesn’t require a sewing machine, pulls in a fabric complementary to my No Sew Fabric Cornice and the gray and coral theme in the bedroom. 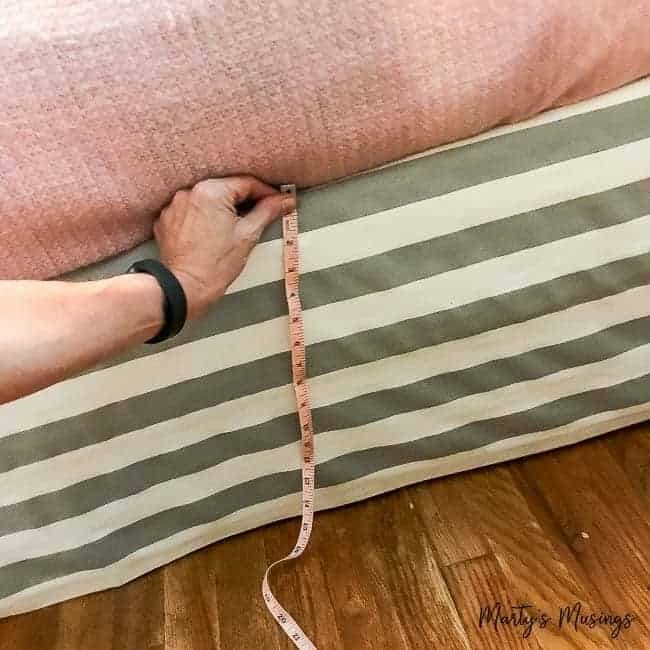 Fabric: number of yards depends on size of mattress, width of the fabric and the style (are you matching stripes like I did?) 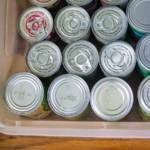 If you’re not sure how much you need ask for help at the fabric store! I feel like there should be some kind of big disclaimer saying, I’M NOT A SEAMSTRESS NOR A MATHEMETICIAN. My philosophy is always, when in doubt, buy a little extra fabric to allow for some wiggle room. **My bed is a queen but you can easily adjust for your size mattress. That’s a total of 148″ in length. You’ll also need to measure from the top of the box spring to the floor, which was 15″ for mine. I also added 1″ at the top plus 1″ at bottom for the hem and 4″ more to be pinned on top. That’s a total of 21″ in width. 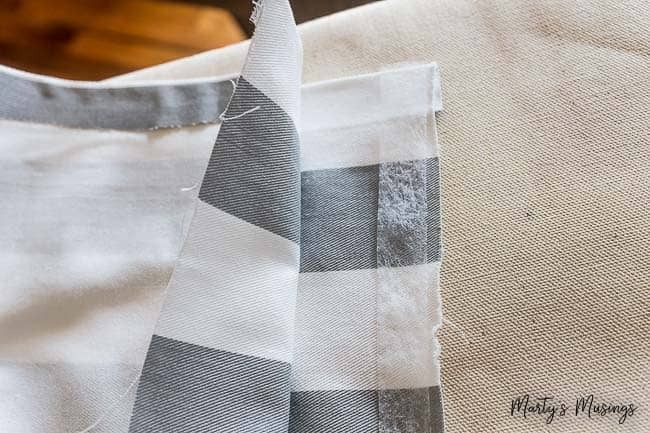 Depending on how wide your fabric is sold, you should be able get two sections out of each total amount of yardage purchased. Here are my fancy calculations: 148 (inches) ÷ 2 (fabric pieces) = 74 ÷12 (inches) = 6.2 ft = 2+ yards of fabric. Since I like wiggle room I would buy at minimum 2 1/2 (if not 3) yards of material. Since I’m not a seamstress and I was also dealing with stripes (hello, get it right THE FIRST TIME!) I made sure I cut the fabric evenly (dividing the width) into two matched pieces. If you’re not trying to match a pattern life will be much easier. 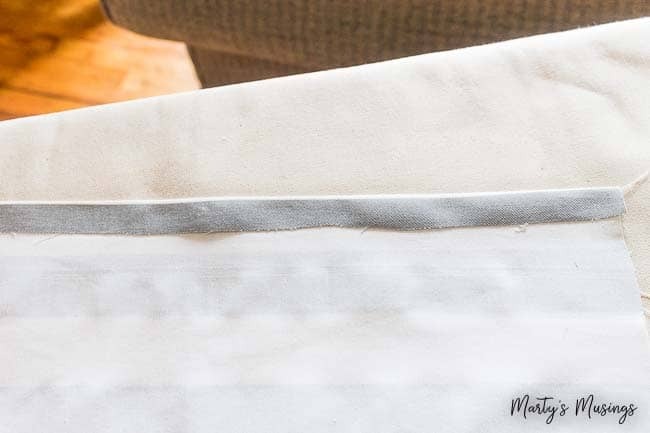 Place the Stitch Witchery between fabric layers and follow directions on package for ironing. You need one long finished edge that will meet the floor. Go ahead and iron your entire length of fabric if necessary. Now is the time to attach your two long sections together with the fusible web, making sure to line up your stripes or pattern. I started with the seam in the middle of the box spring and worked my way around each side from there. 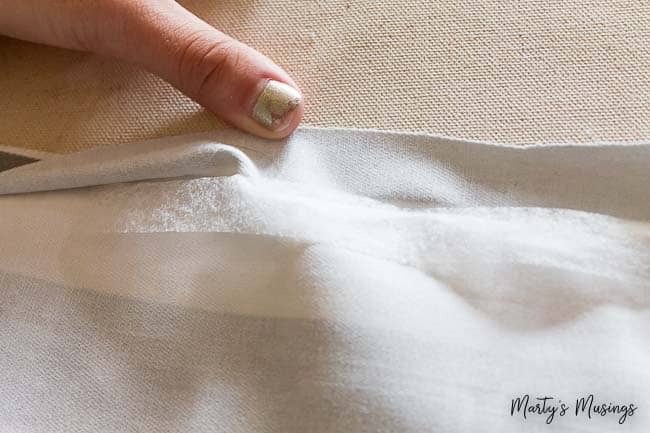 Fold over the extra fabric at the corners and tack down with t-pins. 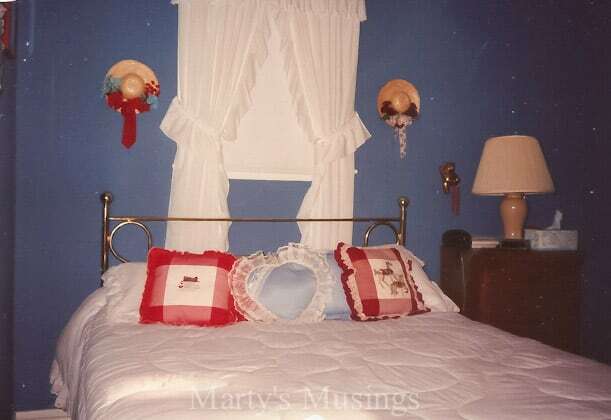 Depending on how much “wiggle room” you decided you might need earlier in your length you will also have extra fabric to wrap around the box springs (closest to the headboard). I just tucked those in behind the bed. You’re done! I promise this isn’t as complicated as it sounds. The hardest part is figuring out how much fabric to buy and matching up any patterns. If you want to be safe go with a solid color! If you’re interested in more no sew projects see my Fabric Window Valance, No Sew Fabric Cornice and No Sew Pillow from a Place Mat. This is such a great project! Love that it’s no-sew. I just made a crib skirt out of an extra curtain panel, and I didn’t even bother with stich witchery. Just basically hid the unsewn edges. 😉 Lazy girl over here. Thanks, Kim! I hear ‘ya on the lazy girl no sewing bit. I need a skirt for a day bed and I’m gonna use a flat sheet 🙂 There are only two sides that will show and I just need something to wrap around it! So excited to see your nursery, though. Girls rock! Hi, Linda. I love this! Sometimes you just gotta let things go! I’m a perfectionist and it’s not always a good quality because it means I don’t even do the project because I know I won’t finish it. Tape and go. That works for me! Have a great day!